You would like to purchase gold and silver safely and comfortably online? Use our certified online shop then. We offer you here coins and bars for purchase on 365 days 24 hours a day. Inform yourself about how the order process and the payment proceed when ordering gold and silver online. You can inform yourself here about the shipping costs and about delivery times and shipping status. We guarantee a maximum of data protection and discretion in every procedure. Simply choose the desired gold bars, gold coins, silver bars, silver coins, platinum and palladium in our online shop and add the articles you desire to the shopping cart by clicking on the button 'buy'. You can delete the articles in the shopping cart at every time by clicking on the button 'delete'. 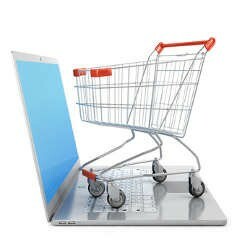 As an alternative, you can modify the quantity by entering the new quantity desired at the respective article and then clicking on the button 'update shopping cart'. If you have made a type error, you can correct it before submitting mandatorily the order by navigating backwards in the browser or by closing the order window in the browser to cancel the order process. You can place your order mandatorily by clicking on the button 'order with obligation to pay'. Within a few minutes after your mandatory order, you receive a confirmation of the receipt of the order at Edelmetalle direkt by e-mail. The presentation of our goods does not present a mandatory sales offer. The offer to conclude a purchase contract originates from you by passing successfully through the order process and clicking on the button 'order with obligation to pay'. We confirm you immediately the receipt of your offer with an acknowledgement of receipt by e-mail. Edelmetalle direkt can process this offer within five days and accept or refuse it by sending a separate confirmation of order by e-mail. In the case of acceptance of the order, you receive an e-mail with all order data including the general terms and conditions (GTC) and the purchase contract is achieved after the conditions of these GTC. Simply choose which payment method you desire at the end of the order process. Please execute the payment of the ordered goods to the bank account communicated to you within 3 workdays after receipt of the confirmation of order. After payment receipt at Edelmetalle direkt, you receive an e-mail where we confirm the receipt of payment and announce the preparation for the shipping. We offer cash payment exclusively for the personal over-the-counter transaction after date arrangement. We also accept the payment in Swiss franc, whereby the official exchange rate of our reference bank is taken as a basis: cash in return for goods. You are welcome to have the precious metals purchased from us sent to your premises. After receipt of your payment on our bank account, we ship your ordered goods within the time limit stated in the shop. When purchasing various articles with different delivery times, the delivery conforms to the article with the longest term of delivery. As soon as the goods are shipped, you receive a notice of dispatch by e-mail and usually can monitor the shipment online by yourself. 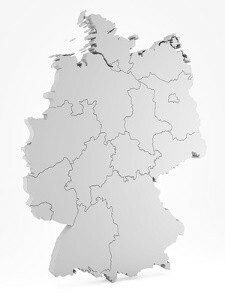 The shipping within Germany is completely insured, in order that you do not bear any risk. You will find the shipping costs here. When using the insured shipping, you can choose whether you wish the direct delivery to your address or the shipment to a collecting point selected by you with collection by the customer nationwide. 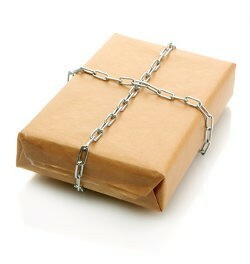 For your own safety, we principally do not deliver any precious metals to post office boxes. For the same reason, stabling permissions or garage contracts are also not possible. We ship your goods in a neutral packaging by Hermes to a collecting point selected by you. You receive a notification of the receipt of the delivery from Hermes and decide yourself when to collect your packet by presenting your identity card. The opening hours of the respective Hermes collecting points are usually measured in such a generously way, that you or a person authorized by you can still collect your delivery in the (early) evening. You will find the next packet shop of Hermes with its respective opening hours here. This service is available at the same conditions than the standard delivery to your home. See here the shipping costs. You are also welcome to collect your goods purchased online from us free of charge in Freiburg. After receipt of payment on our bank account, you receive a confirmation by e-mail. In consideration of the delivery times stated in the shop, you are welcome to arrange an appointment with us for the personal delivery in our office in Freiburg. Please schedule some time, since, for safety reasons, we store the ordered goods not in our office but with a neighbouring bank. 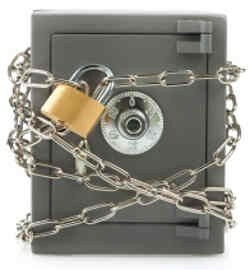 You would not like to store your precious metals at home for reasons of space or safety or you are looking for an additional storage location? 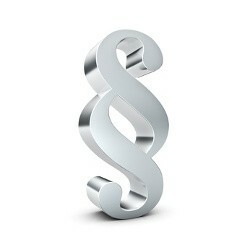 Starting from an order volume of 5,000 €, we offer you a custody service for gold and silver. Thereby, your precious metals are stored in stable safes outside of the banking system. Storage location is Freiburg im Breisgau. The precious metals stored for you at our premises are completely insured! You can take out - even partly - your precious metals at any time, have them shipped insured at your premises, or resell them to us again. For an additional charge, you can also have your deposit anonymized. For the insured custody, please select 'insured custody' during the order process. All further information and the contract terms will be sent to you by e-mail. Click here for further information about the completely insured custody. The shipping costs depend on the order value to be insured and the country to which you would like to have your precious metals delivered. Furthermore, we ship to the following countrys: Andorra, Austria, Belgium, Bulgaria, Czech Republic, Croatia, Denmark, Estonia, Finland, France, Greece, Hungary, Iceland, Ireland, Italy, Latvia, Liechtenstein, Lituania, Luxembourg, Malta, Netherlands, Poland, Portugal, Romania, Slovakia (Slovak Republic), Spain, Sweden, Turkey, United Kingdom, Ukraine. A collection by our logisticians outside of Germany is unfortunately not possible. You wish the shipment of your goods to a country not listet here? This is usually possible, but requires an individual regulation. Please call us, in order that we can submit you an individual offer. You wish the option 'personal handing over' of the delivery by our courier transport and/or a certain time frame for the delivery? Please call us, in order that we can submit you an individual shipping offer. Unfortunately, for technical reasons associated with shipping, we cannot pool different orders. Transport insurance, the proportional costs for packaging, and postal charges are included in the shipping costs. Each delivery is accompanied by a VAT invoice and a delivery note. You as a customer do not bear any shipping risk. You take over the responsibility for your precious metals only when receiving the goods. For a maximum of discretion and as an additional safety feature, we pack up your precious metals carefully in a neutral packet. In this way, it is not possible to conclude the content from the outside. For the same reason, we abbreviate our name in the sender address: EM direkt. The delivery times vary depending on the article and are stated on the respective article site, which opens when clicking on the corresponding article. After receipt of payment, you receive an e-mail where we confirm the receipt of payment and announce the preparation for the shipping. 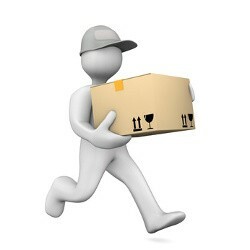 As soon as the goods have been handed over to the logistician, you receive a notice of dispatch by e-mail. We communicate you the shipment number, if available, with which you can monitor the shipping online at the respective logistician. If you have chosen the delivery to a Hermes collecting point, you receive a notice when the consignment is ready for collection at the chosen collecting point. Many companies currently transfer their information technology - and thus also their customer data - to commercial companies. This is also referred to as the so-called 'cloud computing'. However, in our view, you pay for the advantages like cost savings, compensation of lacking knowhow etc. with serious security risks. Edelmetalle direkt therefore goes exactly the opposite way: we run our information technology completely autonomously. The complete programs and your customer data are saved on our own computers, which are located at our own specially secured premises and to which only we have access. Exception: the shop software, which is run in a large German datacentre due to the clearly better performance. For this purpose, also read our data protection directive. We use the established standard for data encoding SSL (Secure Sockets Layer) for saving the communication of your computer with our shop and prove this by our certificate of GlobalSign. The SSL certificate confirms that data can be shared in the internet from your computer to ours and vice versa without any abuse. Beside the measures stated above to protect your data at Edelmetalle direkt, it is very important to us that your environment (e.g. neighbours, colleagues, ...) does not get any clues that you have precious metals delivered. Therefore, we pack your offer completely neutral and inobtrusive. Additionally, we relinquish any external advertising that could indicate the content of the packet.